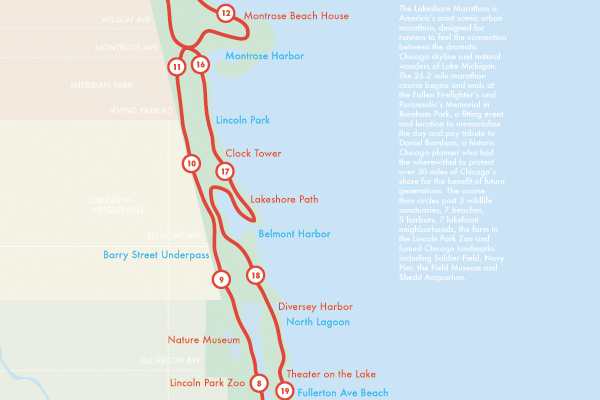 The Lakeshore Marathon was a spring start up marathon effort in Chicago that I ran in 2003. During this race, spectating friends became frustrated with the available maps while trying to find me along the race route, resulting in my proposed redesign for 2004. View a larger version here.